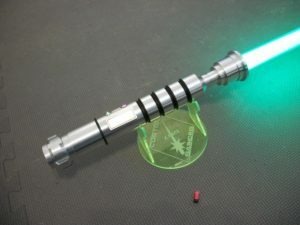 THE BEST HAND-CRAFTED LIGHTSABERS IN THE GALAXY...Serving (over 4000 clients) worldwide since 2006! 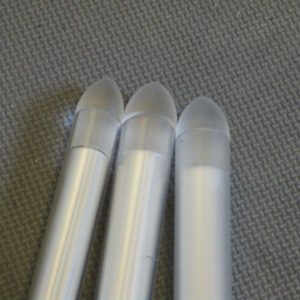 We now have sturdy printed chassis available for all LDM Exclusive DIY hilts. Just select it from the drop down menu prior to check out! The right chassis at the right price! 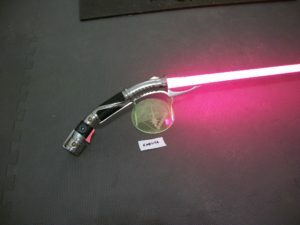 The all new DF2 Katarn QR sabers are now in stock and available for commission. Check them out HERE. 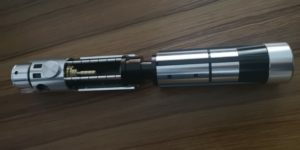 Artisan Lightsabers created with unparalleled detail. Made by an enthusiast for enthusiasts. I was able to purchase the Dark Malakyte that was recently debuted. It's great to have yet another affordable stunt option out there for saberplayers. It's a very nicely made and streamline hilt, and very comfortable to wield in both single and dual hands. LDM was right, the resonance is indeed epic (that new speaker is great) and the purple FoC is stunning and dramatic. Thank you LDM for another great product. So much love for Anakus from me!!! Man I really love that Saber and can't thank LDM enough for building it! I wish you guys could hold it in your own hands, its texture is amazing! Its beautiful from each angle and there are so many details! Another perfect 5/5 for the General. I purchased (I think) the second Malakyte with a custom blade color and custom weathering/powder coating, and as always, the General doesn't just do what he promises, he goes way beyond. Complete agreement with Caine on the high quality of the piece and utterly blown away by how fast, helpful and dedicated General Grievous is. As always, highest recommendation for both the product and the maker. 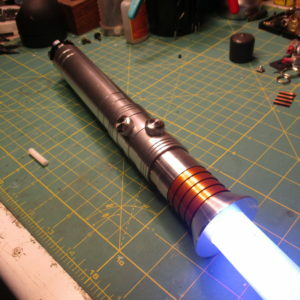 If you want a really nice saber, these are fantastic pieces with an amazing amount of work and craft put into them. I just wanted to give GG a 5/5 for the amazing he work he did with Malakus. This man was courteous, patient with inquiries, and is very reliable. You can tell the passion he has for his craft by the sturdy, yet understated elegance of his sabers. Big ups, big man. I can't describe how helpful GG has been. My wife has her Dark Malakyte in purple, and I have a blade for my newly acquired Obi. He was helpful in all sorts of ways, from discussing the options, to discussing a custom build I'll be having him start as soon as he has an opening. A true professional, and a class act. I will be getting more from GG in the near future.